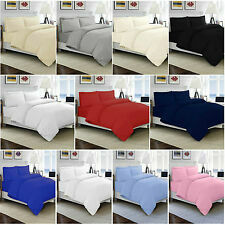 (6) PIECE SET INCLUDES (4) PILLOWCASES & FREE SHIPPING! Bedbug Pillow Protector - King Size. Protects pillow from liquids and stains. 100% Polyester non-woven fabric with Polyurethane Laminate. Smooth Zipper closure. Machine wash hot. Do not dry clean. PILLOW NOT INCLUDED - ONLY SINGLE CASE. 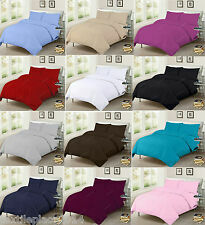 220 THREAD COUNT SUPER SOFT 100% COTTON. STANDARD CASE 20"X30". 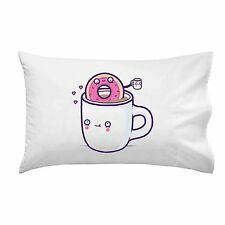 Protects pillow from liquids and stains. 100% Polyester non-woven fabric with Polyurethane Laminate. Smooth Zipper closure. Machine wash hot. Do not dry clean. Includes: 1 Fitted Sheet, 1 Flat Sheet, 1 Pillowcase. Textile construction: Microfiber. Textile Material: 100% Polyester. Care and Cleaning: Machine wash & Tumble dry. Thread Count: 100. 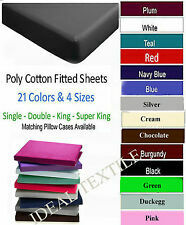 Piece 1 Type: Flat sheet, Quantity: 1. Enjoy a clean, crisp look on your bed without the maintenance with the 250-Thread-Count Easy-Care Pillowcase. 250-Thread Count Easy-Care Pillowcase is a soft, low-maintenance way to keep your bed looking sharp. Damask Stripe 400 Thread count, 100% cotton pillow protector. Fabric is 100% cotton. White on white Damask stripe. Great way to protect your pillow and have it last longer. 400 Thread count. Queen size 20 by 30. 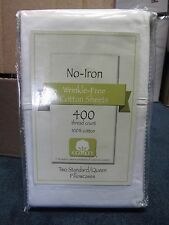 Pinzon 440 Thread Count 100% Cotton Damask Stripe Sheet Set Cedar. Condition is New in package. Never used. . Shipped with USPS Priority Mail.